What a day! 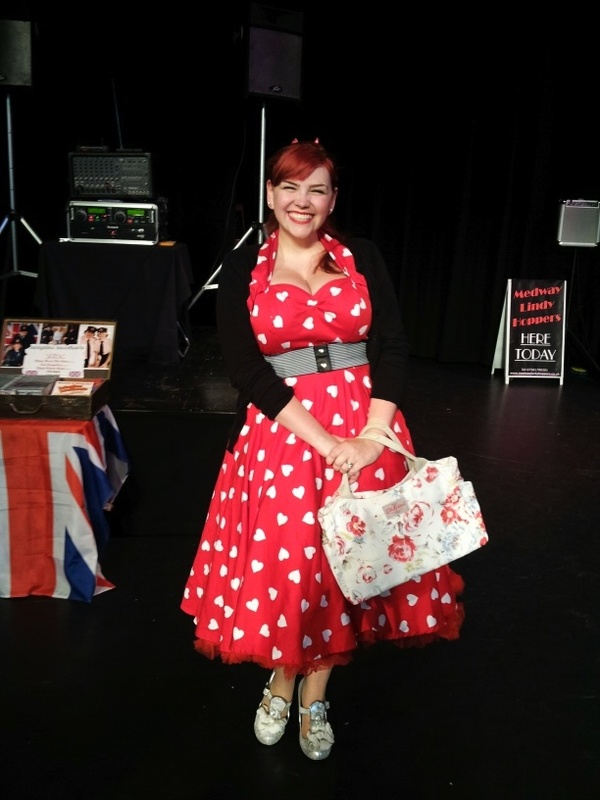 Saturday’s fair was so much fun and I was really pleased to be part of it again for my second outing as ‘Mrs’s Fox’s Finery & Fancies’. I couldn’t wait to see what people thought of my finds. Well I think they liked them! I sold the amazing ‘sunflower dress’ I sourced before the doors even opened and it didn’t stop there. 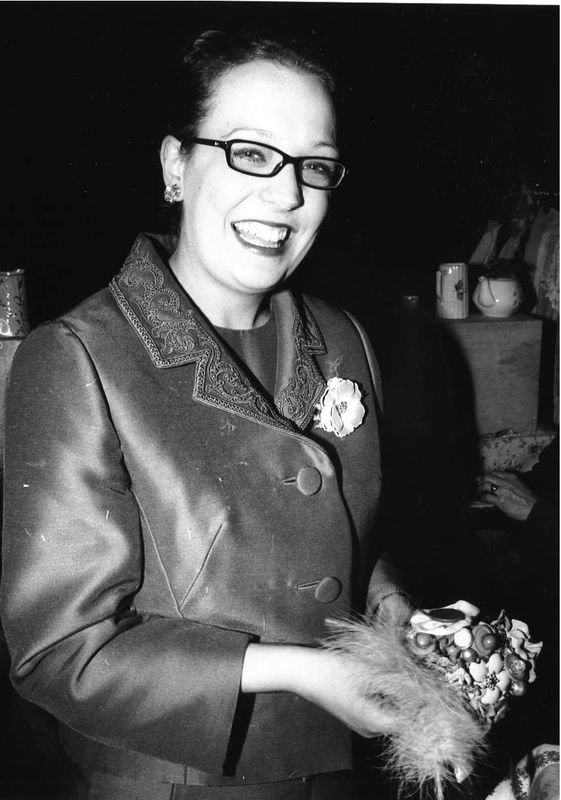 The ‘yellow jacket’ I had with black buttons was tried on by loads of people with no luck as it was so small until a very classy lady just came along, placed it on and it was a perfect fit. It was meant to be! The 1950s prom dress went to someone who was ready to give it a little love, which I was pleased about and most of the China was going to be used at future weddings. The hall was full of vintage lovers enjoying their Saturday as they looked for something new. Spotted in the crowd was the fabulously dressed Hannah wearing a dress she brought from me in March, I just had to get a picture. Thanks for letting me share this Hannah! The Swingtime Sweethearts sang their hearts out and looked great (as always). I have a real soft spot for them as they sang at our wedding and there was some dance classes also happening. If after all this you are asking how this all happened in one day the answer is I have no idea! Yet I still found time to also see the wonderful ‘The Half’ on tour at The Woodville Halls in the afternoon. This was a showcase of photos taken by Simon Annand of actors in their dressing room. This is a must, if you can get to see this on tour you should. I think I covered the lot! I will be back at Monica’s fair in November, see you then. You look great in the dress and thanks for letting me share it, see you at Monica’s in November! 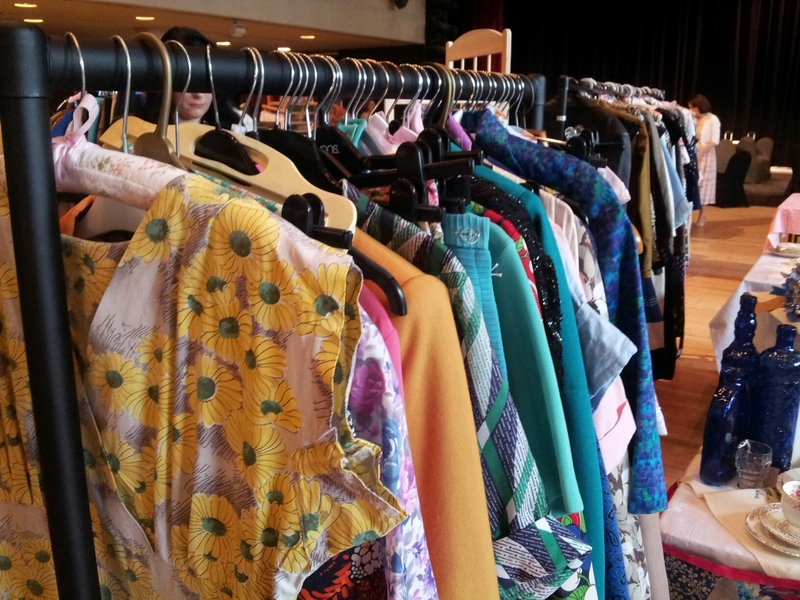 ← Monica’s Vintage fair – not long now!